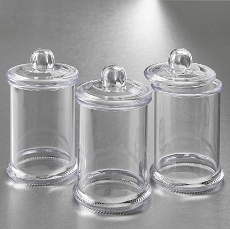 Offer your guests fabulous treats in a classic clear acrylic apothecary jar. 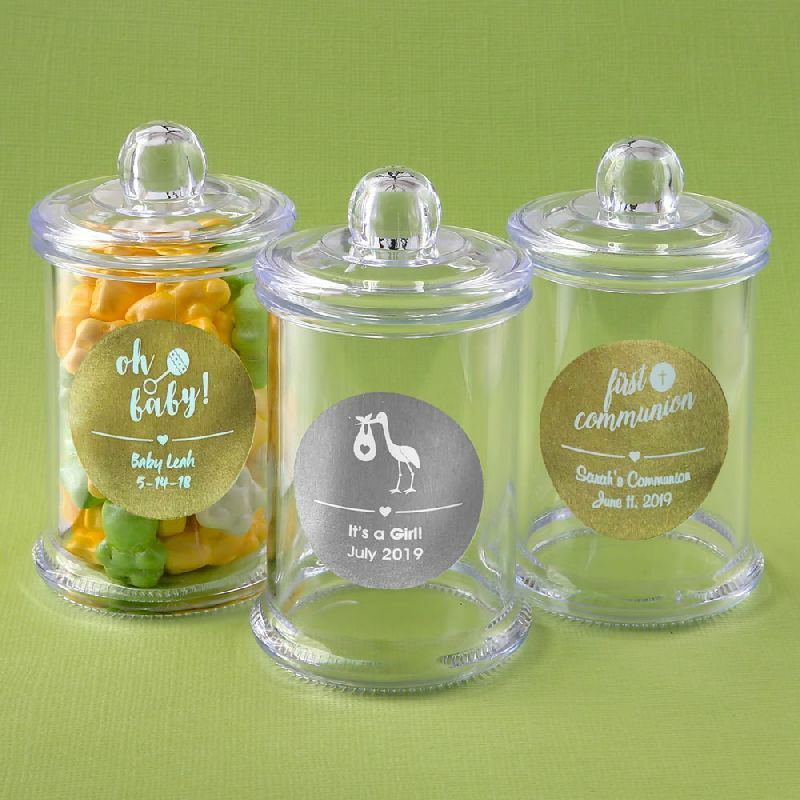 Add to the opulent decor theme of your event and personalize the jars with a high-class silver or gold metallic sticker designed by you! 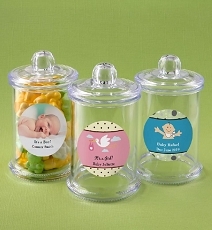 The side of the jar is the perfect place to put your personalized gold or silver metallic label. Our high-class metallic gold or silver foil stickers can be printed in white or black print. Use our exclusive Design Tool to preview and design your own sticker choosing from a large range of themes and designs. View your creation online before placing your order. The personalized labels come on 8.5" x 11" easy peel and stick sheets. Each sheet contains 30 labels sized 1.5". A great favor idea that comes packed in a cello bag. These classic jars are versatile and are suitable for any type of occasion.